Wildlife, particularly marine animals, are at risk when they become entangled in plastic waste, or ingest it. Plastic waste can breakdown into tiny particles, which are less visible, but may still affect marine lives. The whale washed away on the beach of Philippines. Researchers found that the whale had consumed 40 kilos of plastic. According to the D’ Bone collector museum Inc’s facebook post in March 16, 2019 confirms that the curvier male juvenile whale died because of swallowing various types of plastic including 16 rice sacks, 4 banana plantation style bags and several shopping bags. Beside whale other marine creatures which are rare or about to extinct like turtle, sea-horse and algae are also in threat. The amount of fish production is decreasing day by day as the water is losing its balance with huge throwaway of plastic. Plastic is not only affecting the marine life but also the wild life. This year in February 28 an elephant was found suffering in Sri Lankan Forest. Later some local volunteers helped the elephant by giving water pressure to pull out the wastage which was 10 kilos of plastic. 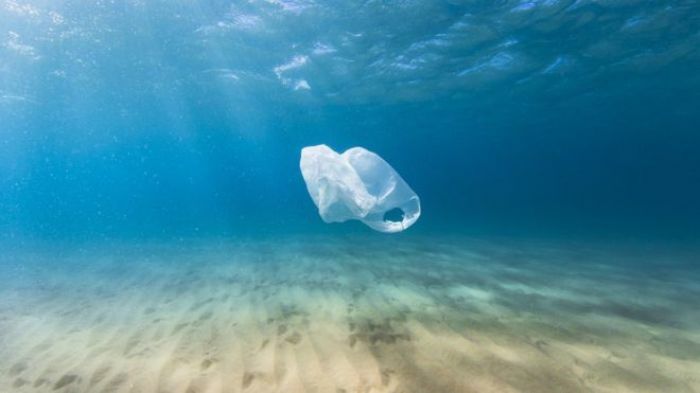 Five Asian nations - China, Indonesia, the Philippines, Vietnam and Thailand - accounted for up to 60 percent of the plastic waste that ends up in oceans, according to a 2015 report by environmental campaigner Ocean Conservancy and the McKinsey Center for Business and Environment. The scenario is not good in Bangladesh either. The rivers Buriganga along with many other rivers are suffering from the consequence of plastic pollution as these are frequently thrown anywhere. During the last decade the world largest beach at Cox’s Bazar have been heavily polluted by the tourist that affects the ecology of that area by 40 percent. The plastic will eventually be sold to a recycler. Less than one-fifth of all plastic gets recycled globally. In the US it's less than 10 percent. As the US government revealed the level of plastic in the ocean triples in a decade so necessary measures should be taken to curb litters.